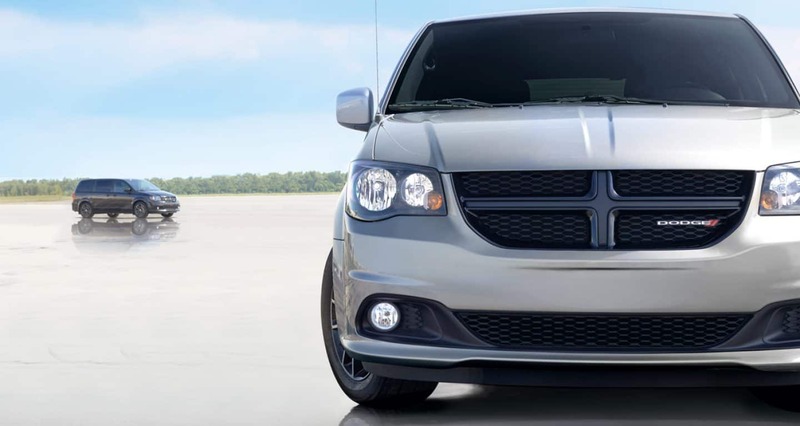 As other brands grow flashy with over the top technology features that raise their prices higher and higher, Dodge's 2019 Grand Caravan remembers the family and lends you a budget friendly cost without cutting out the essentials of the modern minivan. 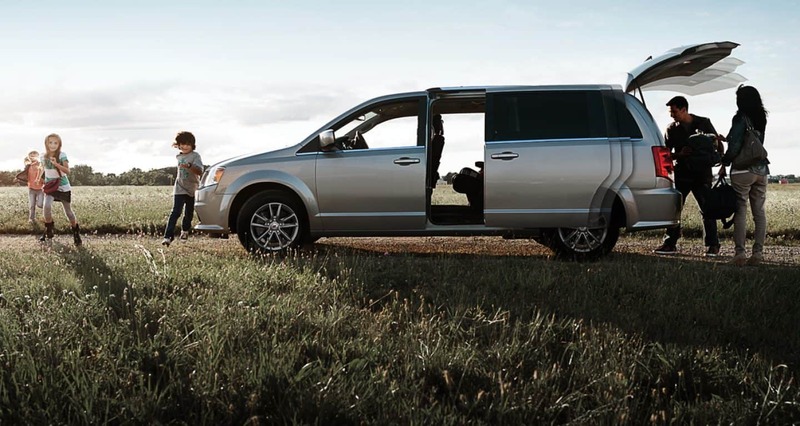 The Grand Caravan has been the leading innovator in the minivan world, after all, giving families eighty class-firsts over its 35-year lifetime thus far. It enhances convenience and technology practically, always keeping in mind functionality and comfort for you and your passengers. How capable is the Grand Caravan's powertrain? 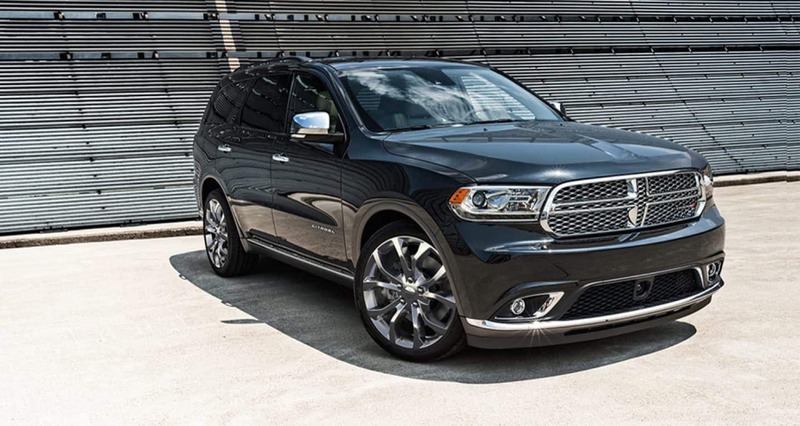 Award-winning power comes from the reliable, strong, and efficient 3.6-liter V6 Pentastar engine. Since its debut in 2010, about 8.6 million of these engines are out on the road today! In the Grand Caravan, this engine gives you 283 hp and 260 lb-ft of torque, powering forward via a six-speed automatic transmission. This pairing is smooth, accelerating easily to highway speeds without feeling laggy or taxed, and it's strength is even enough to tow an extra 3,600 pounds behind. It features built in variable valve timing technology, adjusting exhaust valve timing, intake, and fuel pressure to enhance combustion and fuel efficiency. Thus, the 2019 Grand Caravan runs with an EPA rated 25 miles per gallon highway. 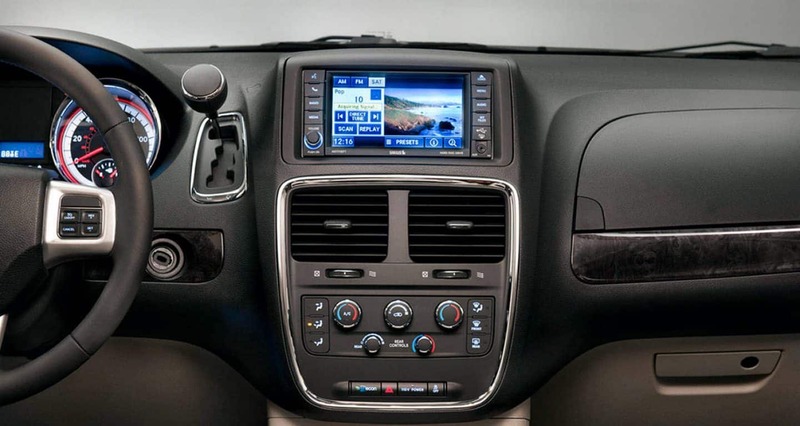 What standard features are built into the Grand Caravan? 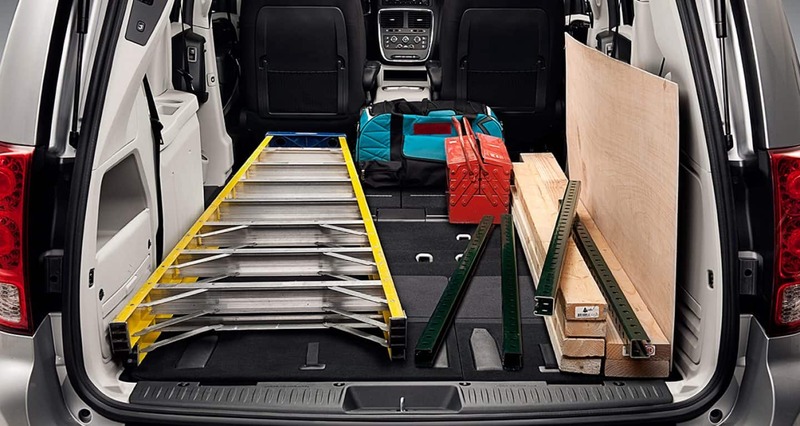 The 2019 Dodge Grand Caravan accommodates up to seven passengers across its three rows with either the second-row bench or two captain's chairs equipped. It's the third row that seats three, and possesses maximum movement to either fold flat for an expanded cargo capacity, flip rearward into the tailgate position, or fold half via the 60/40 split to lend you superior passenger/storage flexibility. The second row is equipped with Stow 'n Go technology, folding down discreetly into floor bins to give you further functionality with up to 140 cu.ft of flat cargo space. These in-floor vessels double as handy storage containers for passenger goods while the seats are in use. There's also under-trunk storage, rear seat net pouches, dual center-console storage containers, and a double decker glovebox. Beside this on center-dash, there's the tri-zone climate controls and a 6.5-inch touchscreen audio and phone interface that controls Uconnect apps, Bluetooth phone capabilities plus voice command, and USB/AUX MP3 streaming. Higher models come with heated seats, power sliding doors and liftgate, ten front seat power adjustments, and an available BluRay DVD entertainment system. What safety features come equipped? Built to protect, the foundation of every Grand Caravan is a high-strength steel frame engineered with crumple zones to redistribute and redirect crash forces around and away from the cabin space. Seven advanced multistage airbags keep driver and passengers safe with front, knee, seat-mounted side, and eight-foot long side-curtains. Every Grand Caravan comes equipped with a rear camera with backup display for greater reverse maneuverability and expert parking. 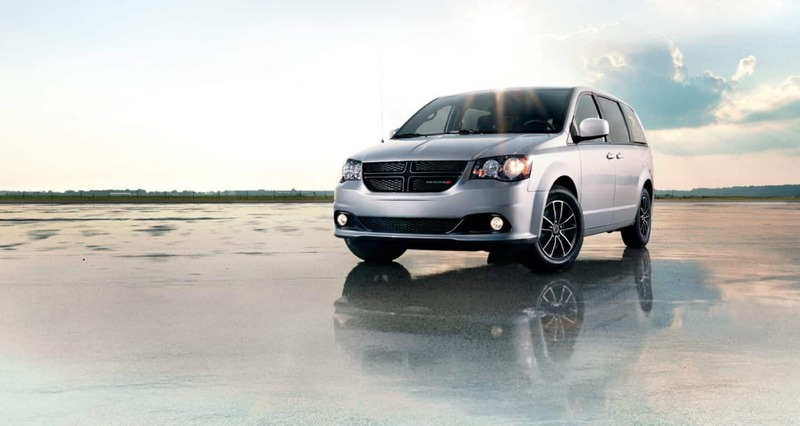 You'll find the Grand Caravan to be a stable and professional drive thanks to its constant traction monitoring technologies ready to fine tune your driving to minimize and negate wheel slips. 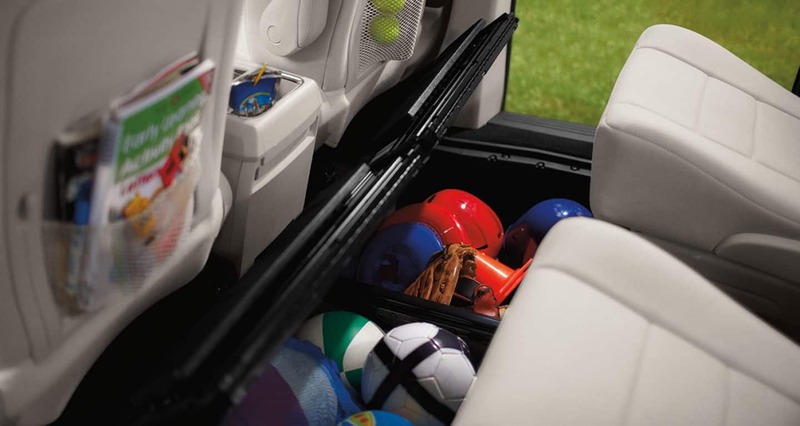 Well equipped with technology you're sure to use every day, the 2019 Grand Caravan keeps things simple and manageable without sacrificing on great flexibility and comfort. 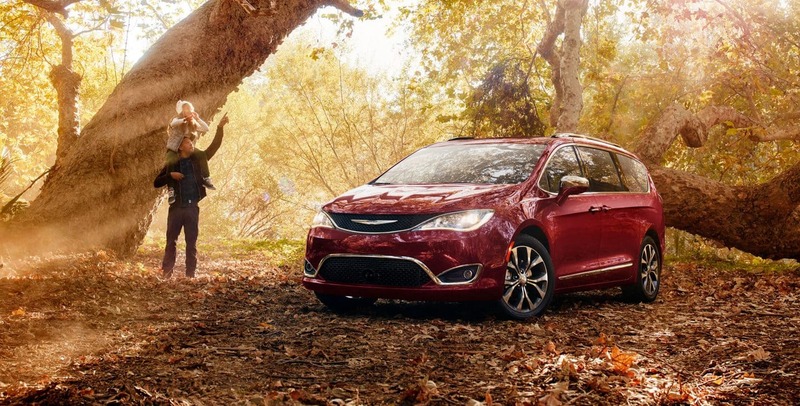 It's a budget friendly option for any large family who needs plenty of room on road trips! Bodwell invites you and your whole family to come experience the prime comfort and features offered within our Grand Caravan inventory.